Set apart by politics but brought together by music! While political honchos are always at loggerheads, these two prominent politicians from the seven sisters painted a musically amicable picture recently. Meghalaya CM Mukul Sangma created quite an exception when he started jamming with his colleagues at his daughter's wedding because these "colleagues" also happen to be his staunch opponents in the ministry. 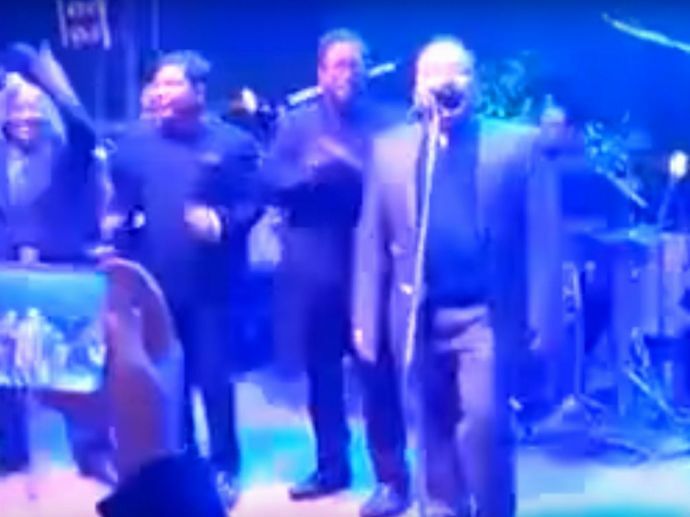 We say this because, a two-minute video of Sangma, the leader of the opposition - Dr Donkupar Roy and Paul Lyngdoh - the United Democratic Party’s working president, singing and grooving to Beatles’ classic "All my loving" has gone viral. Shillong is known for making rock culture popular in India and the leaders definitely stood true to the state’s cult status. Sangma is known to be a great singer and was reportedly a member of a band in college. In 2015, he enthralled the people of Kolkata when he sang at the inauguration of the Meghalaya House there. Lyngdoh, a poet as well, is popular for recording many hit songs and continues to be an active member of a band with which he has frequent jam sessions. Set apart by politics but brought together by music! Quite some news right?